naturaltransition.com is very pleased to have peaceful parenting author, radio host and father of 2- Bob Lancer to writing Natural Transitions Peaceful Parenting articles. Bob presents parenting seminars and consultations around the world. He specializes in helping parents with children at all stages of life, as well as in teen motivation and mentoring. He is author of Parenting With Love, Without Anger or Stress and the host of the radio show Bob Lancer’s Parenting Solutions. His parenting seminars air on his own TV Series, Raising Our Children, Raising Ourselves, With Bob Lancer broadcasting weekly on the Atlanta Public Schools cable television network. His work has been featured in national magazines, major newspapers, on CNN and other major TV networks, and in an internationally released documentary film. He offers parenting consultations live and over the phone. For more information see www.boblancer.com. naturaltransition.com is very pleased to have peaceful parenting author, radio host and father of 2- Bob Lancer contributing to Natural Transition’s parenting articles. 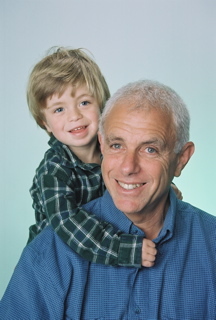 Bob presents parenting seminars and consultations around the world. He specializes in helping parents with children at all stages of life, as well as in teen motivation and mentoring. He is author of Parenting With Love, Without Anger or Stress and the host of the radio show Bob Lancer’s Parenting Solutions. His parenting seminars air on his own TV Series, Raising Our Children, Raising Ourselves, With Bob Lancer broadcasting weekly on the Atlanta Public Schools cable television network. His work has been featured in national magazines, major newspapers, on CNN and other major TV networks, and in an internationally released documentary film. He offers parenting consultations live and over the phone.